Things are warming up for our next Festival in the great capital of South Carolina! We kicked off “Beer Season” with Ignite, a wonderful professional networking event, November 16th. We followed that with a mass beer tasting during Vista Lights at Post No Bills, November 17th, a huge success, that introduced over 500 people to the range in beer styles. We were honored to have our press conference with Mayor Benjamin December 1st at Carolina Ale House, announcing the anticipated launch of general public ticket sales. We thank Mayor Benjamin and his staff so much for joining us! Later that evening we were honored to be beside COR for Mingle & Jingle on Main Street. COR had the greatest photo booth, Elf Yourself and delicious, warm cider. It was such a great event and the tree lighting was beautiful. The next day, December 2nd we were at Five Points Festivus to celebrate the Airing of Grievances Bar Tour 2011. For the next two months, Columbia is going to be jumping with World Beer Festival preview events. Look for us at First Thursdays on Main St. Other tasting events are in the works and will be held at various locations around the city. 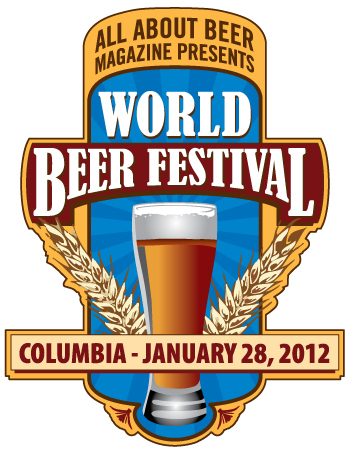 Join our mailing list to receive regular updates on World Beer Festivals.